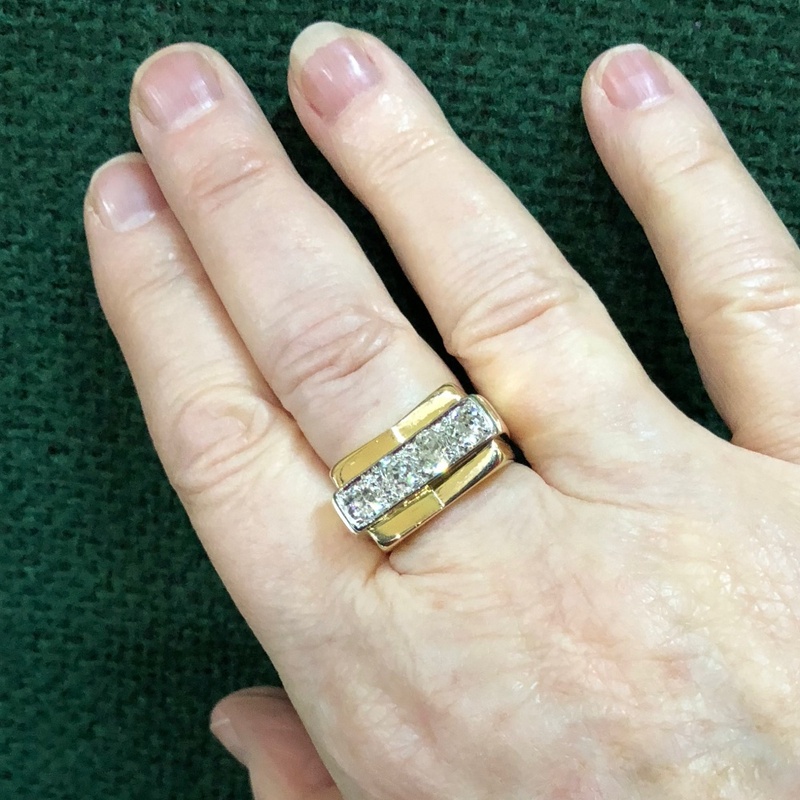 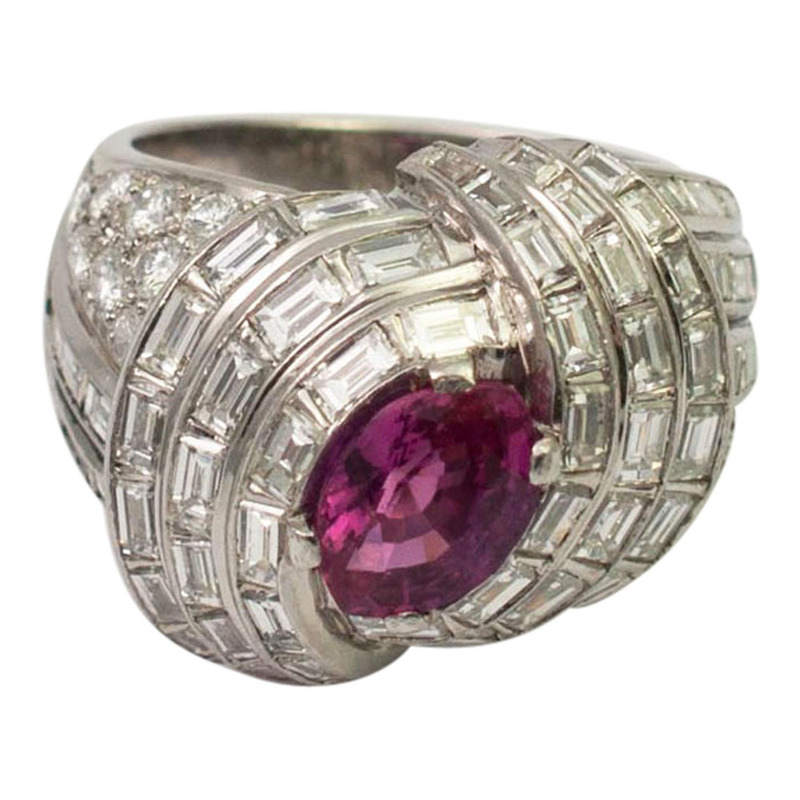 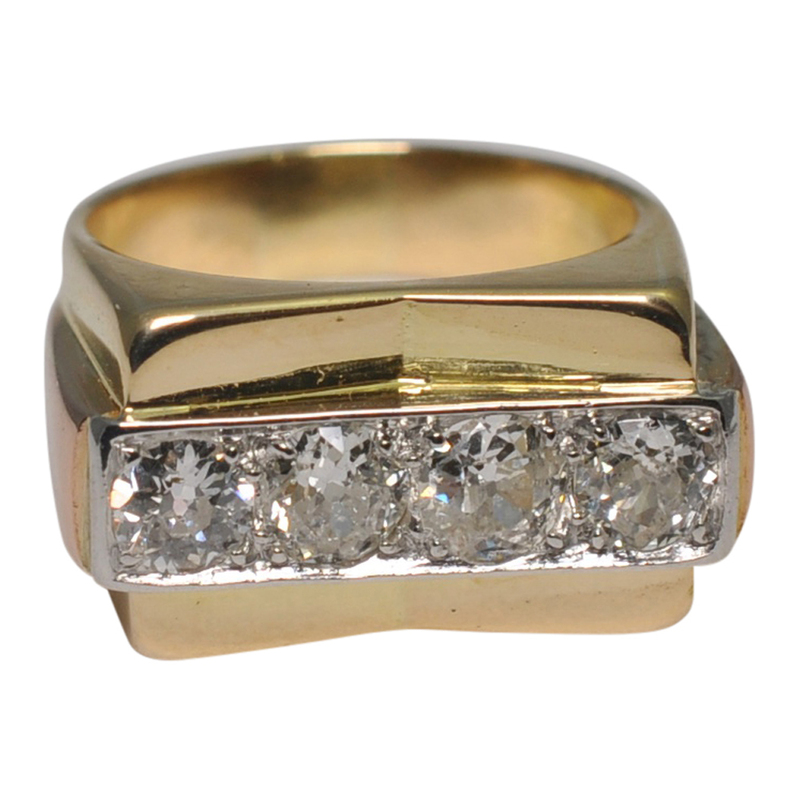 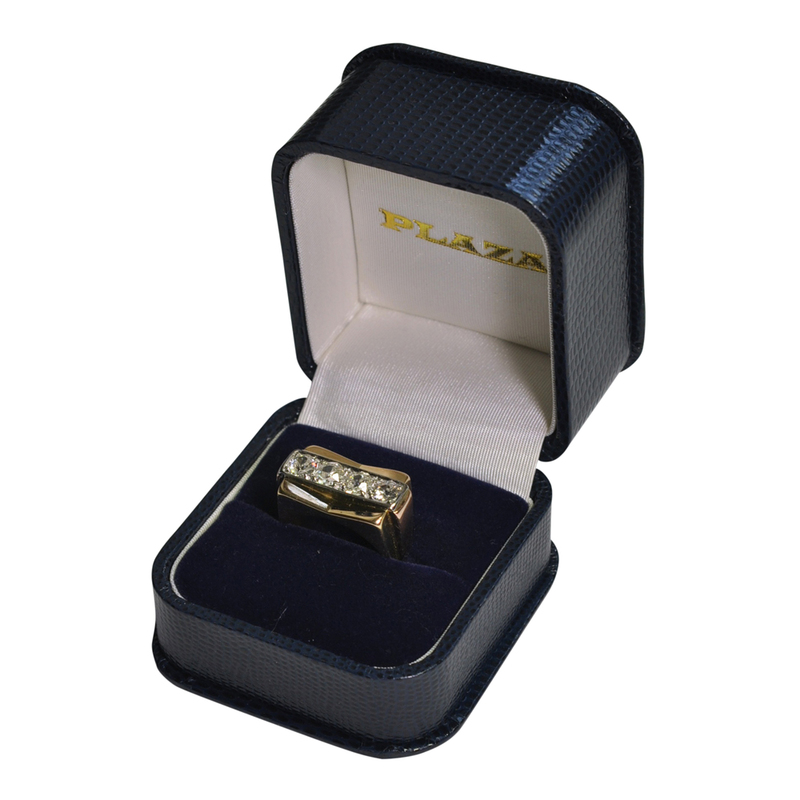 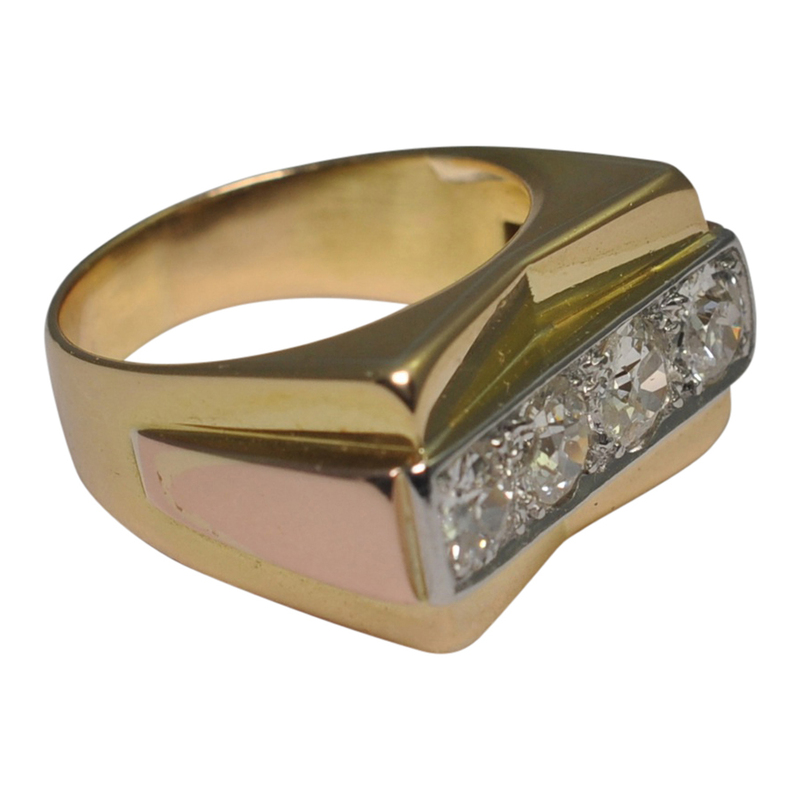 French retro 1940s diamond and 18ct gold ring; this is a late Art Deco design and set with 4 big, chunky Old European cut diamonds totalling 2ct set in a central platinum section. 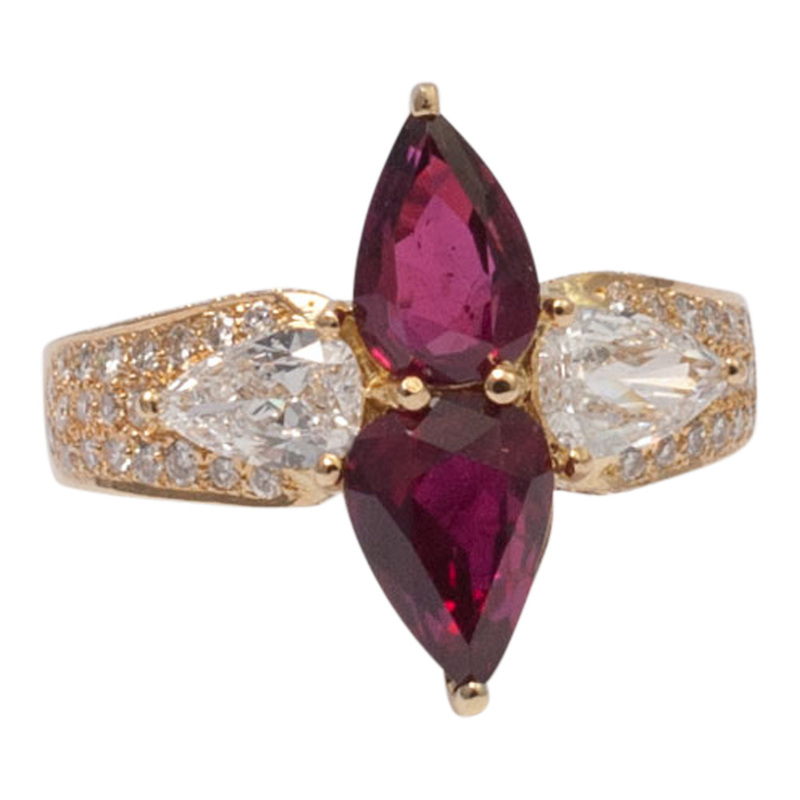 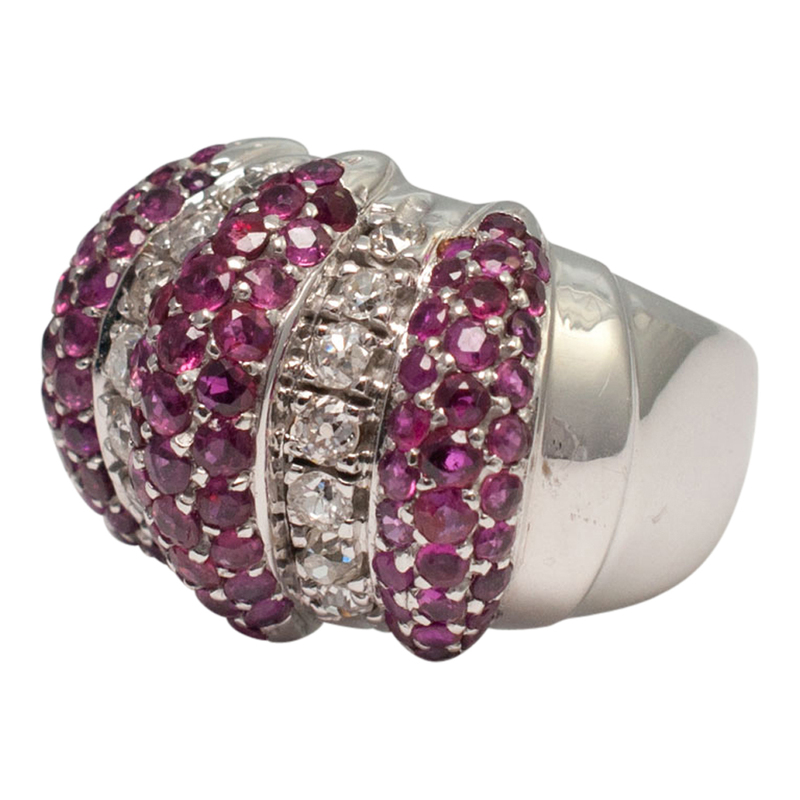 The stones are bright and lively with great brilliance. 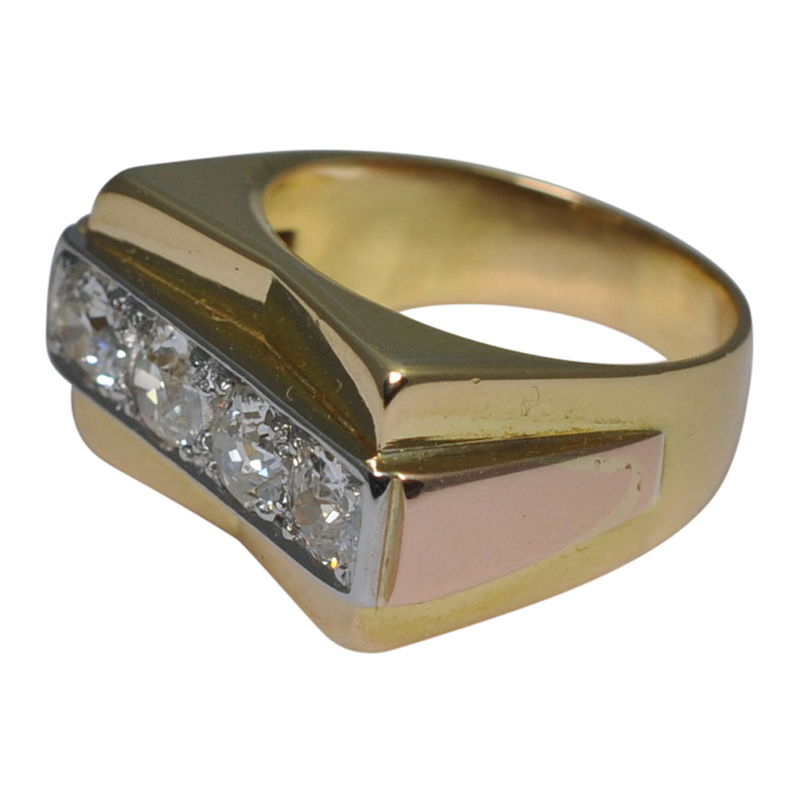 On each side of the ring there is a raised piece in rose gold, giving the ring 3 colours. 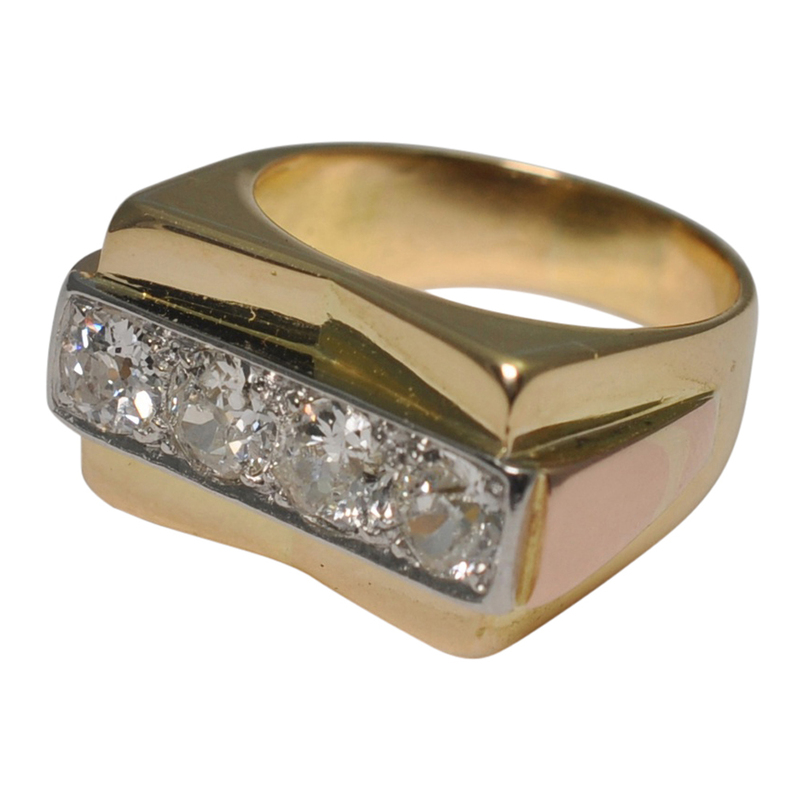 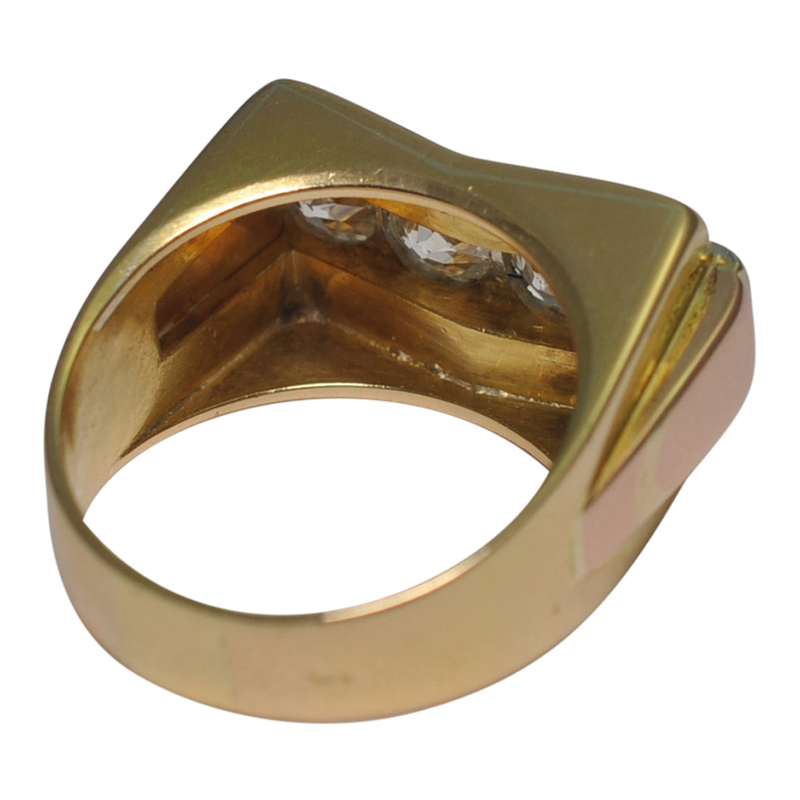 The ring weighs 11.2gms; measurements 2.2cm x 1.2cm x 0.5cm. 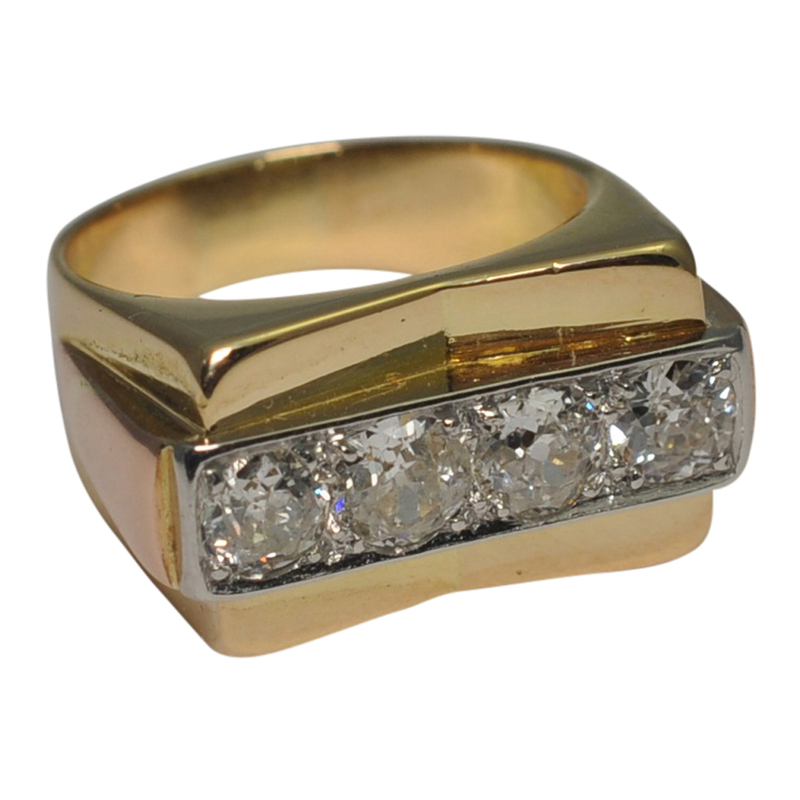 Traces of the French 18ct gold and platinum hallmarks. 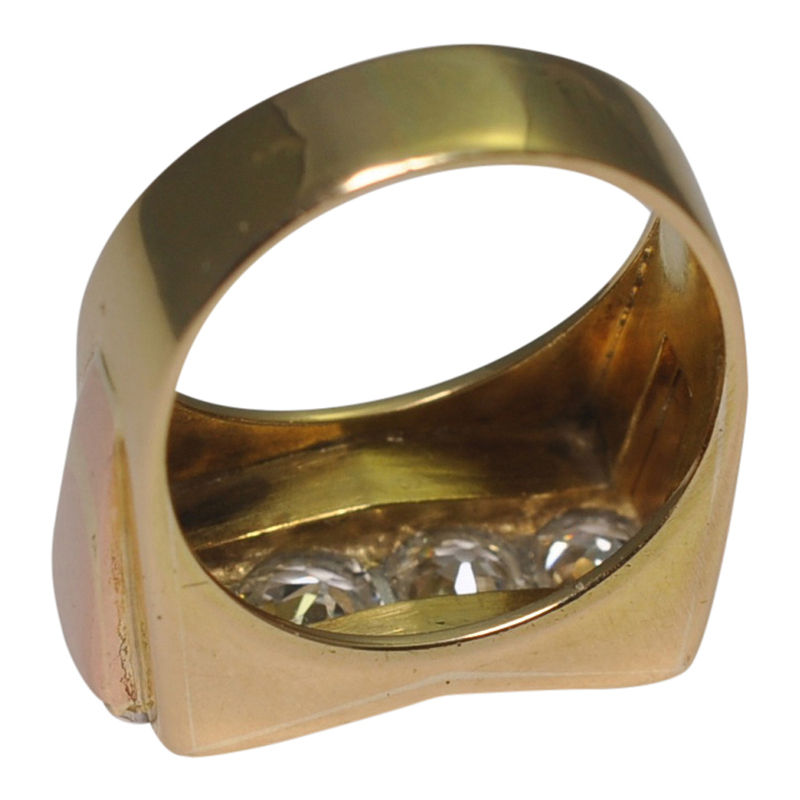 Finger size O (UK), 7.25 (US), 55.5 (French), 15.5 (Italian) which we can re-size for you if required. 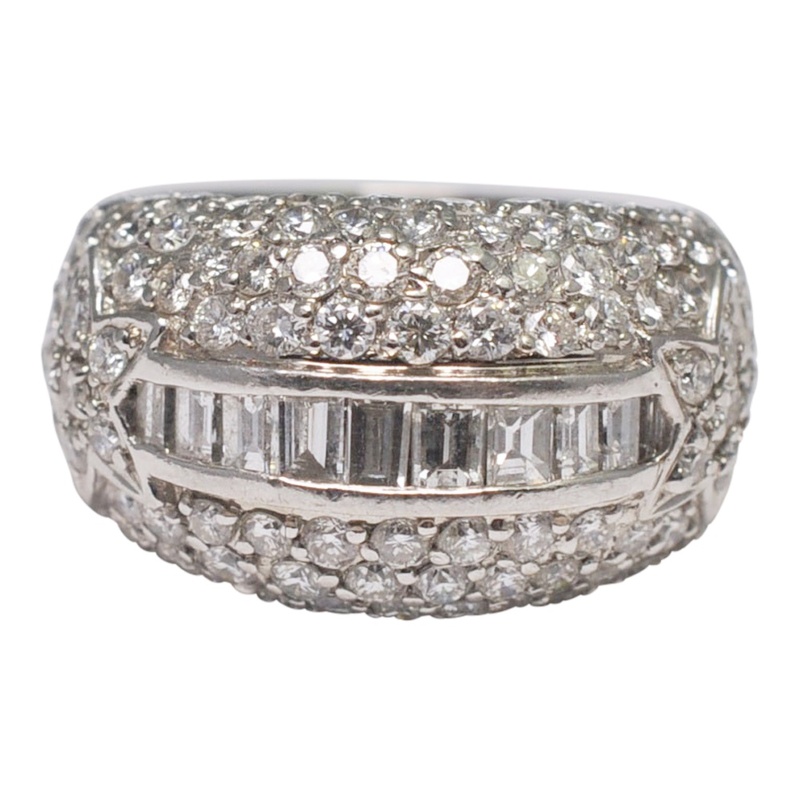 The ring has been professionally re-polished and is in lovely condition.